Bruce Sellery is a business journalist, TV host, author and speaker. He is the Money columnist on CBC Radio, MoneySense and Cityline, the hit lifestyle TV show that airs across the U.S. and Canada. He also hosts Moolala: Money Made Simple, a weekly, national radio show on SiriusXM and is the author of two Globe & Mail bestsellers, including Moolala: Why smart people do dumb things with their money (and what you can do about it). Bruce speaks to audiences across North America on the topics of personal finance, career management, and productivity, and emcees conferences (Canadian Credit Union Association, Investment Funds Institute, Mortgage Professionals Canada) and award shows (Investor Relations Magazine Awards). He runs a busy financial literacy consulting practice, working with regulators, such as the Ontario Securities Commission, financial institutions and large corporations. He is the Executive Advisor for Financial Literacy for Carrot Rewards, the award-winning national wellness rewards platform. Bruce was the host and personal finance expert on Million Dollar Neighbourhood, a reality TV show on the Oprah Winfrey Network. And back in 1999, he was one of the founding staff members at BNN Bloomberg. During his decade on staff he anchored thousands of hours of live programming and interviewed thousands of CEO’s, economists and analysts on the day’s top business stories. As BNN’s Bureau Chief in New York City he lead the corporate crime beat, reporting on the trials of both Martha Stewart and former Worldcom CEO Bernie Ebbers. He also spent three seasons as host and producer of “workopolis tv”, a program devoted to the world of work. Before moving into business journalism, Bruce was a brand manager at Procter & Gamble. He also headed up the design and delivery of P&G’s highly successful Diversity Training programs. Bruce is a graduate of the Smith School of Business at Queen’s University in Kingston, Ontario, and currently sits on its Advisory Board. 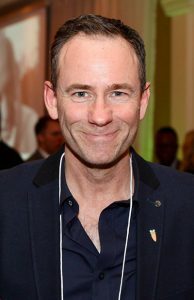 He is the President Elect of The Canadian Club of Toronto, an alumnus of the Governor General’s Leadership Conference, and the former Chair of Friends of Adoption Options. He is based in Toronto, Canada.